“I’m absolutely amazed. My knees are shaking a little bit because I wasn’t expecting this," said the archaeologist-in-residence. 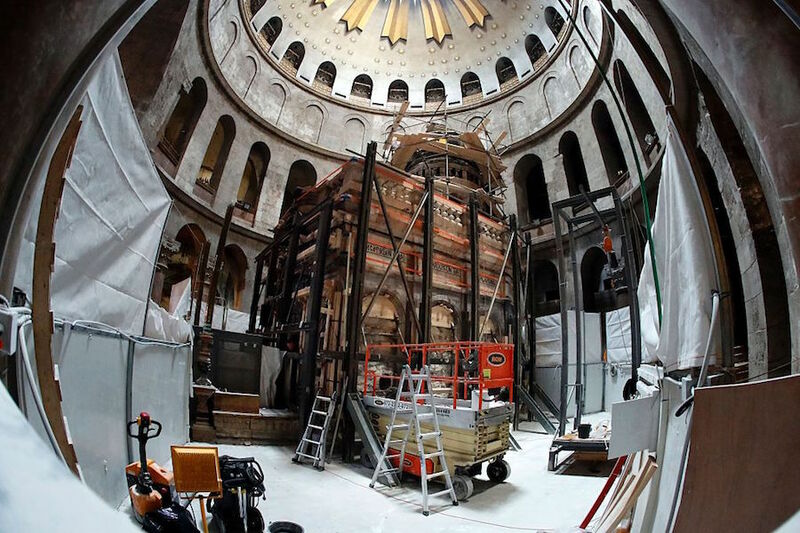 THOMAS COEX/AFP/Getty ImagesThe Edicule (shrine) surrounding the Tomb of Jesus during the recent unsealing process. For the first time in centuries, humans have now looked upon the limestone slab where Christians believe the body of Jesus laid after his crucifixion. 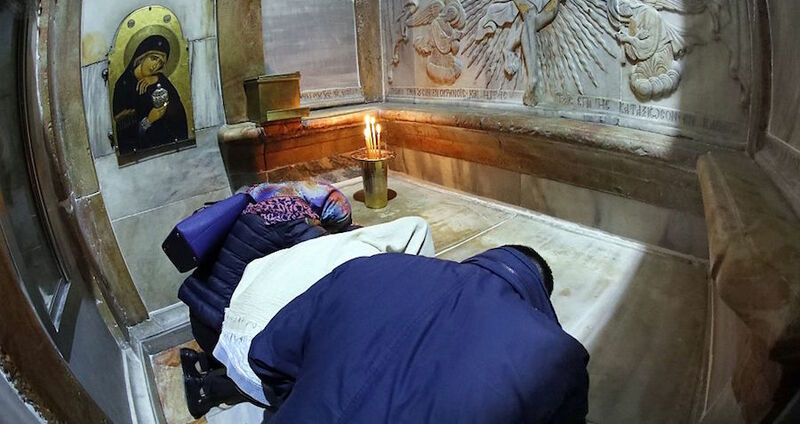 Located in the Church of the Holy Sepulchre in Jerusalem’s Old City, no human has seen inside the chamber of Jesus’ tomb since church officials encased it with layers of marble in 1555. But on October 26, researchers from the National Technical University of Athens were allowed 60 hours of access into the tomb for a restoration project before it was once again resealed, likely for centuries to come. It’s a wonder anyone was able to now see the site with their own eyes at all. Although it has always been one of Christianity’s most sacred sites, the church has been sacked multiple times, yet has survived centuries of damage relatively unscathed. In order to keep it that way, the team was quick to reseal the tomb after their allotted 60 hours were up. That said, researchers will document and examine the outer shrine surrounding the tomb for the next five months. But as for the tomb itself, no one alive now will likely ever step inside again. Next, find out why America thinks Jesus was white.